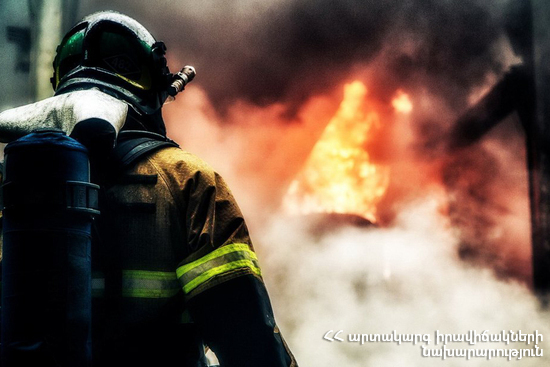 On February 8, at 17:48 an emergency call was received to “911” service that smoke was coming out of a house in the 45th street of Nor Aresh, Yerevan. 2 fire brigades from the fire and rescue squad of the rescue service of MES of RA left for the scene. The fire was isolated at 18:15 and extinguished at 18:20. The furniture (25 m2) completely burnt in the living room of the house, as well as the equipment and walls were partly damaged.